Cockeyed Caravan: Underrated TV on DVD #19: Police Squad! 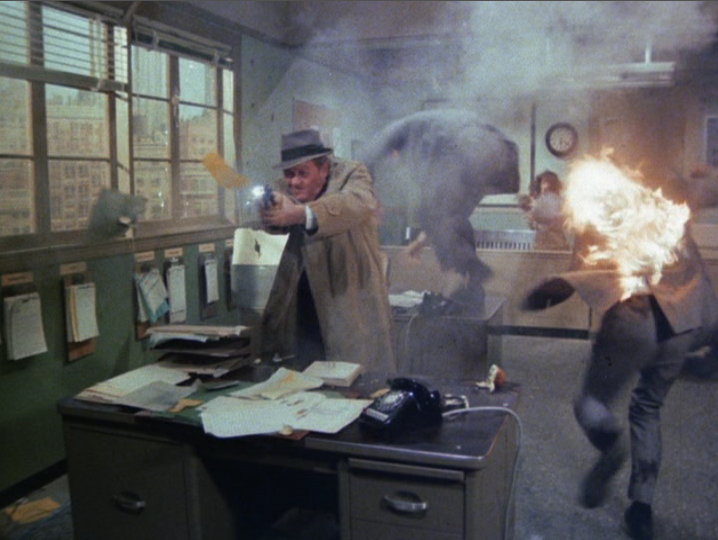 Underrated TV on DVD #19: Police Squad! As promised, here's an epilogue to last week. Tomorrow, we move on, I promise! The Concept: An absolutely absurd goof on cop TV shows like “Dragnet”, and storytelling conventions in general. 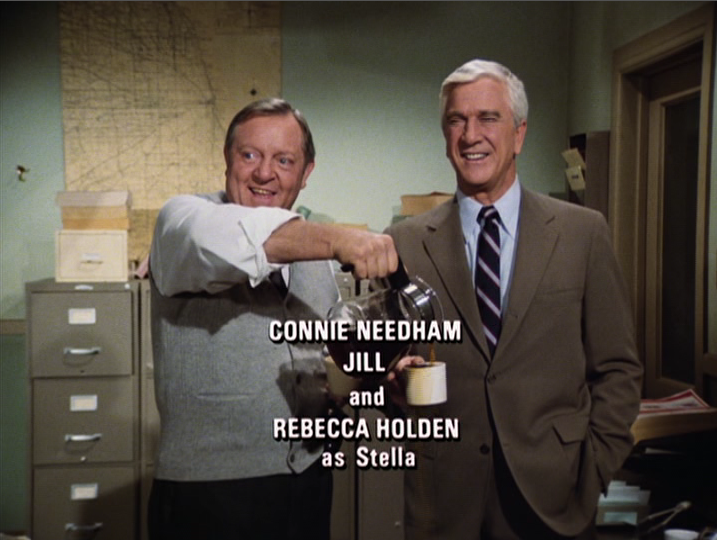 How it Came to be Underrated: The creators had sold it based on nothing but the opening credit sequence, but ABC got cold feet when they realized how bizarre the actual show was going to be. (ABC complained that you actually had to watch the TV set to get the visual jokes.) It was cancelled after six unheralded episodes, only to be reborn five years later as the “Naked Gun” movie series. 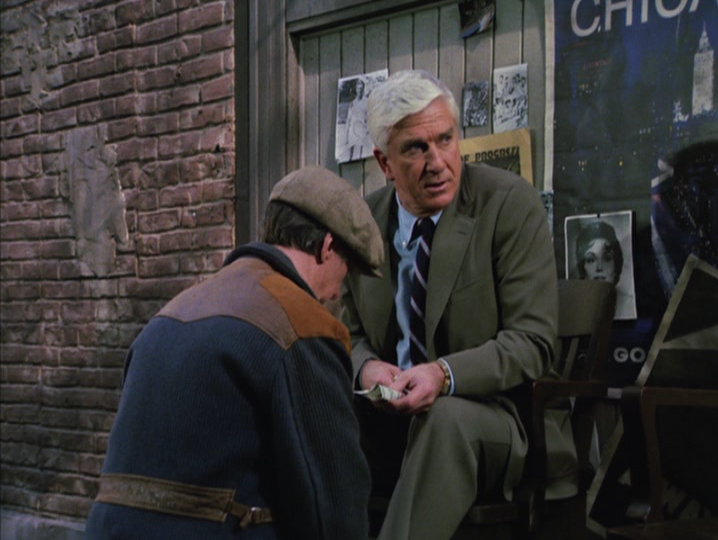 Every episode, Frank would get stumped and bribe a shoeshine-guy-turned-stoolie who always had an inside line on every case. What the Remake Did Wrong: All of the other examples of “The Original was Better” Week have been foreign shows that were unwisely adapted for US TV. This one is an American show that lost a lot of its charm when it made the jump to the movies. The movies were mildly funny but they don’t prepare you for the absurd pleasures of this show. It didn’t help that they replaced the very funny North with America’s sweetheart, O. J. Simpson. I do love a good deadpan. And yes, it would have been hard to make a much worse re-casting choice than OJ Simpson! Indeed! Thanks, Judy. It's fixed. I'll attempt to blame autocorrect, somehow.